Justine is the founder of “La La Story” (www.lala-story.com) and “Pacific Match Global”(www.pacific-match.cm), based in Tokyo and Honolulu, providing marriage consulting and matchmaking services for high-caliber globally-minded professionals, ranking amongst the most successful boutique agencies in Asia Pacific region. Matchmaking has been her hobby for 20+ years. 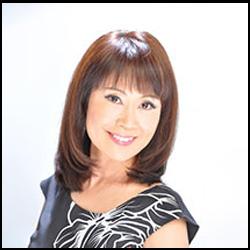 Her passion for helping people led to her establishing her business in Honolulu in 2006. She has matched many couples across the world. Justine’s experience of living and working in the US, Europe and Asia truly helps when it comes to understanding people, lifestyles, and culture. She has an MBA from a renowned Swiss business school, and strong interests in life studies, psychology and Feng Shui. Married to a British banker, she travels extensively for business and pleasure (to over 35 countries and counting many more). Down-to-earth, she can connect with anyone, anywhere.